Diet Pills Watchdog | Gadd Formulas LLC - Diet Pills Scams Uncovered? Home » Diet Investigations » Gadd Formulas LLC – Diet Pills Scams Uncovered? 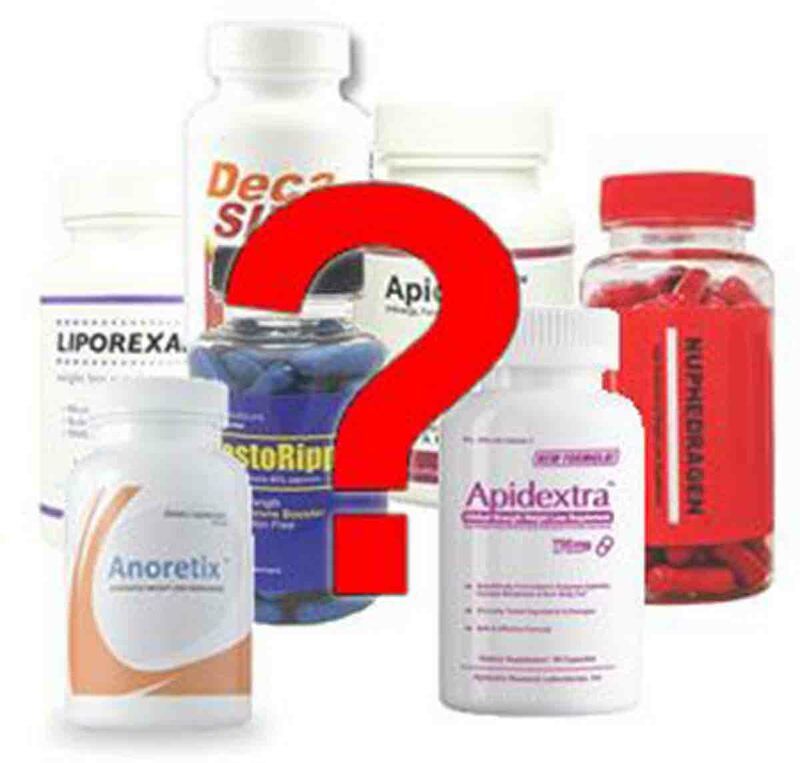 Gadd Formulas LLC – Diet Pills Scams Uncovered? First published Mar 5, 2012. As part of our research into diet pills available in the market we keep coming across some of the same names all the time. One of these is Gadd Formulas LLC so we’ve done a stack of research to find out a little bit more about them. What we found out was pretty shocking, and went back over a decade. We found a tangled web of companies and the individuals behind these, and have finally pieced most of it together. All the information we have found is in the public domain and has been recorded in one place or another, but up till now no one has joined up the dots and brought together all of this information in one place. So grab a cup of coffee, settle down and hopefully you can learn a thing or two about how the diet pill industry works. So who are Gadd Formulas LLC? Gadd formulas are a LLC based in Utah, US. They take the payments for a huge amount of diet pills that have been gathering a massive amount of negative feedback from customers, ranging from poor or non delivery, poor refund system and even down to the products not even working. As a result of these complaints we decided to try and work backwards from the top of the chain and see what we could find out. This has taken us a huge amount of time and is still not complete, so if you have any details you can add then let us know. The registered principals are BTJD Corporate Services, LLC and Fitness Prime Management, Inc.
BTJD corporate Services is a proxy attorney service for businesses and Fitness Prime Management is owned by Xtreme Business Solutions Inc and is a Nevada based company where owners can hide the details from Government services as to who actually owns a company. This is all perfectly legal, and at this stage the trail goes dead. These guys are trying their hardest to remain hidden. So we can’t get any further with the payment services, lets try a different tactic. Instead we look at the fulfilment company, behind the products that Gadd Formulas, LLC takes payments for. We may be able to find some links here. They have a BBB rating of F and the registered agent is a Pattie S Christensen. As well as a number of diet pills like Lipovox, Adapexin, Apidextra, Apidexslim and many others. Rather unnervingly all these companies have a BBB rating of F, we are starting to see a pattern here. So it seems a number of diet pill companies have used this address to run their business and many of the product websites use this address for the base of their company as well as fulfilment. So who’s behind all these companies? Mr Garrett Devore as the registered agent, along with Y Min Kim, Mr Andrew Thomsen and Ms Sarah Campbell. Amongst other products they are involved with we found Liposeduction, Noxycut, Ambislim, Nuphedragen, Curvatrim, 7-DFB, Bioffeine and All Natural Health and Beauty. So some more names to work on, lets take a look at Mr Andrew Thomsen, seems he’s also involved with Health Science Nutrition along with a Mr Dallin Bruun. So he was involved with Garrett Devore as well at the same address. What other products are Health Science Nutrition involved with? Well amongst others there’s Lipovox.com. Ambesleep.com, Decaslim.com and Testoripped.com. Here they are using the Health Science Nutrition for the logo but it says its shipped and sold by Nutrisports LLC. This is another company hidden by a number of management companies. So is Health Science Nutrition, which is owned by Andrew Thomsen and Dallin Bruun still selling diet pills from these premises and using the same premises for fulfilment? Ok, se we are starting to see a pattern here the same personnel involved with similar products. and Devmin Research and Development LLC. So What Do All These Companies Have In Common? The common denominator and the name that keeps recurring seem to be Garrett Devore. What else can we find out about him? It seems like our suspicions are confirmed, someone has taken him and his brother, Steve A. Devore to court for exactly the same things that we are investigating. Steve A. Devore is owner of Sybervision and runs a review site recommending the products his brother produced. So What Else Has Garrett Devore Been Involved With? liporexin.com pulled its webpage content from Fibersyn’s eBay store, Thank You Meg Whitman (n.b.-Meg Whitman is the CEO of eBay). Same people that were selling the same products from the same companies that were based in the same premises. All of these stores have stopped (or have been forced to stop) for a while now. For a long time they were using ebay stores with other associates which have also since been closed down. The interesting thing that all the people involved so far is that they are all Mormons, nothing wrong with that as everyone is entitled to freedom of religious beliefs but what is unsettling is that we are seeing this repeated on a constant basis. More on this later. So How Are These People Working Now? One thing that all these products and sites have in common is that they are all using the “underground” payment processor Gadd Formulas LLC. As a result it is quite easy to see which sites are using this processor and what they have in common. What we found was nothing short of startling, and in many ways deeply disturbing. It would seem that there is a system in place that has been used for many years with the purpose of deceiving not only YOU the consumer, but also the Government and the advertisers like Google Adwords. Time and time again we found fake review sites that list the products coming out of 1084 Industrial Park Drive one after the other. They then rate these products with, in most cases no other products ever being reviewed. This is in direct contravention of the FTC guidelines on fake review sites. There are literally dozens of sites like this that list the same products and imply that they are reviewing the pills in an independent way when all along it is the same pills from the same company, with the same payment processor in every case. So Why Are They All Hiding? Only the people behind all these sites, products and companies can answer that! We find it highly suspicious that the whole thing from top to bottom is deliberately hidden behind shell companies, Attorneys, Private domain registrations and so on. It is next to impossible to get any physical addresses where these companies are based as in most cases they are hiding behind the shipping company. Does Garrett Devore own this product? and after fobbing us off for a while and getting flustered they admitted that they had worked for Garrett Devore! The other huge thing they have in common is that they are all based in Utah, for a number of reasons. The original architects of this whole sorry mess, the Devore brothers are based in Orem, Utah and are strict Mormons. Due to the massive amounts of money involved then there’s no surprise that everything has been kept hidden so well. We are talking literally millions and millions of dollars every year just in the diet pill area so you can see why the whole thing has been allowed to flourish unchecked. Please be careful, do your research and only buy from companies who do not try and hide from you and make it as hard as possible to get in touch. If things go wrong, then make sure you can get your money back very easily. Read our approved reviews of diet pill companies that meet these criterias. * Our team have spent many hours collating detailed information for this report. They have checked facts as much as possible but if you think any information is inaccurate then please contact us. Garrett is not a “strict” Mormon. He follows some of the tenants and culture but he is obviously a recovering (we hope) scam artist and also an addict in recovery. These are not teachings of that church. Just built a massive 4 million dollar home in the mountains. Vanity is also not taught in his church. Yes he should be held to a higher standard along with his cohorts if they are Christian. Has money from however he has obtained it. If he is a good or bad person, let God judge that. So they charged my debit card for apidex trim $212.84 I did not order , have never heard of this company. then they shipped it to me so now my fraud claim with the bank will not credit my account because it shows I received the product. any one have any suggestions on where to go from here? I JUST FOUND A $166.45 dls CHARGE IN MY CREDIT CARD FOR SOMETHING I DID NOT EVEN KNOW IT EXISTED, HOW CAN THEY CHARGE IT WITHOUT MY APPROVAL AND SENSITIVE INFORMATION ?? .. AS FOR YESTERDAY I HAD TO GO TO THE BANK, THEY CANCELLED THE CARD, I WILL HAVE TO WAIT FOR 3 -5 DAYS FOR REIMBURSEMENT, THAT IF THE INVESTIGATIONS GOES RIGHT, AND THEN 7 – 10 DAYS FOR A NEW CARD … WHAT KIND OF SYSTEM THEY HAVE IN THIS COMPANY ?? ..FISHY . FISHY,, I WILL GO AS FAR AS I HAVE TO FIND EVERYTHING FOR MYSELF AND FOR EVERYONE’S GOOD … BEWARE OF GADD!! .. SERIOUSLY .. When speaking with a customer service representative from Prenatalgyn, the customer service representative told me that Gadd Formulas is the “corporate office” of the company esupplements and esupplements distributes Prentatalgyn, which is a prenatal multivitamin. I believe that Prenatalgyn can be traced back to the LLC pierce Hawthorn LLC which can then be link to Advantage Pharmaceuticals LLC. The information I have found about theses LLC’s is very concerning and I would not recommend Prenatalgyn to anyone! Their must have been a link that showed the supposed best supliment, and I bit! so I call to return the product and was told they would send instructions via e-mail. No email as yet and I’m going to see a doctor about the ear problem. Shipping was via Fulfill Post. So the net result is instead of helping with erectile issue I now have an added problem, and as yet no refund!! I made a mistake and visited one of their websites. I really forget the name of the site. It did peak my interest. I did fill in the order page. My husband happen to see what I was doing. After I showed him what I was ordering, he said to forget it, this looks like a rip off. So I exited the website and did not place the order. Well today, 9/13/12, I’m checking my bank statement, and there it is!! A charge to my account for $44.90, which was made on 8/01/12!!! Plus I NEVER submitted the order–plus i have never received any diet pills from this company! None I’m afraid they will charge my account every month!! I will be calling the BBB and Utah’s Attorneys General on this! I just looked into both Gadd Formulas and Nathans Natural. Between the two, I have $473 charges on my card. I didn’t even shop there! My guess is they are just out for the money anyway they can get it. A big hurray for the fraud watch on my card who stopped the payments and contacted me to confirm the transactions. I ordered some diet pills for myself because of the reviews of that particular pill (They were amazing…the reviews that is) The pills did not work..I swear I think they were sugar pills….anyways long story short…The pills were 100% money back quarantee…I received a check for $70.00 from Gadd Formulas, LLC…I had no clue who was sending me money since the amount due back to me should have been $103.00….Did a little research on the net and came to this site and seen the same bottle of pills in a picture…guess I’ll just cut my losses…head over to the facebook apidextra page and tell them what I think about their pill and their refund program…Thanks for letting me vent!!! I ordered this COLONOXY from Gaddformula but never got it – I waited for the 2 weeks they said it would take to get to me by FEDEX but it never arrived so after 2 weeks of repeated requests for my money back finally got refund for product only – they said they can’t refund me for FEDEX charges as FEDEX lost package. FEDEX told me they never handled this order, and I believe them as tracking number provided was not a FEDEX number. The company that distributes this product seems to have a lot to learn when it comes to delivery and handling customer claims. After all my trouble I belatedly checked out this company and found so many negative reviews and ratings for this company. How are they able to stay in business? Hi Mike, thanks for sharing your experiences for others to see. Very sorry to hear about your problems, at least you managed to get a refund for most of your money. I just checked on the colonoxy website and like a lot of the websites that have been using Gadd Formulas LLC, they have changed to a different payment processor. In this case they have changed to Excitement Dietetics LLC which is the exact same setup as Gadd Formulas. We are wondering if this is because of all the negative publicity with regards to Gadd Formulas, or it could be a totally innocent reason. We will do a bit more digging into Colonoxy and see what else we can find out about them and their history. All you had to do was decline the charge with your card for services that were not rendered. Nice and simple. No reason to keep calling every single time to request a Refund, also if they mailed it using FedEx services there is a tracking number; you should of requested that number. Hope this will help in the future. I stupidly just ordered form this website, since it looked SOOO legit. I have to give these scammers props for doing such a good job in deceiving me! It said ‘dietpillsthat work’ would show up on my bank statement. Of course it was the GADD LLC on my statement., which is when I googled it and came up with all these negative reports! Are they known to keep charging my debit card or stay with the one time rip off amount? !